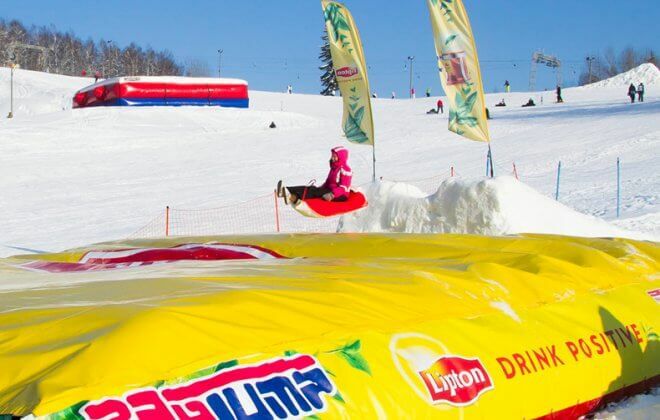 Tubing airbags ー Your all year tubing fun by BAGJUMP® airbags! Tubing is great fun sliding down a hill, it’s even greater fun if the tubing ride ends with a BAGJUMP® to land in, the worlds softest airbag! 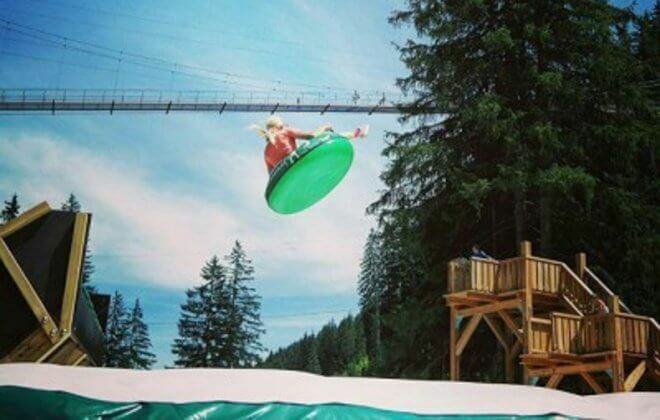 Upgrade your tubing run with more fun and excitement by adding a BAGJUMP® product. Use in the winter with an actual snow in-run or during the summer with an artificial snow surface, siding on a tube or on the unique BAGJUMP® Toboggan - great fun for the entire family and does not require any skills. 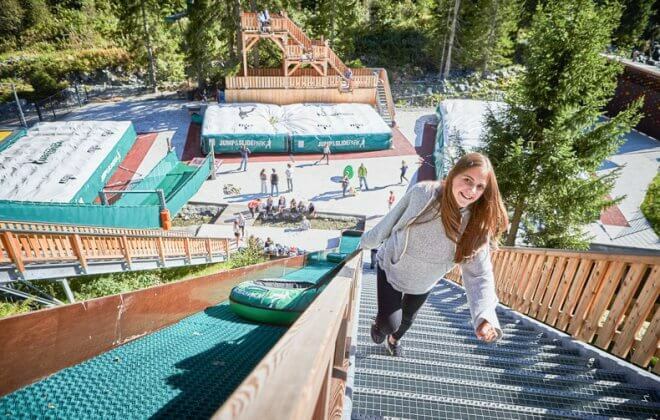 BAGJUMP® is not only an amazing winter attraction but offers your guests an unforgettable experience regardless of the season, sport and skill set. 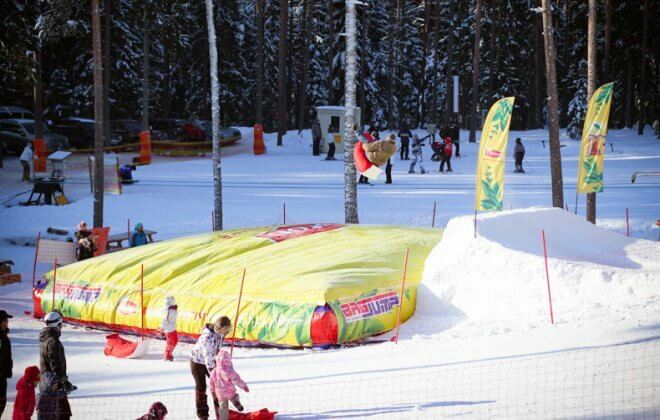 Use your BAGJUMP® in the winter for snowtubing, skiing and/or snowboarding. 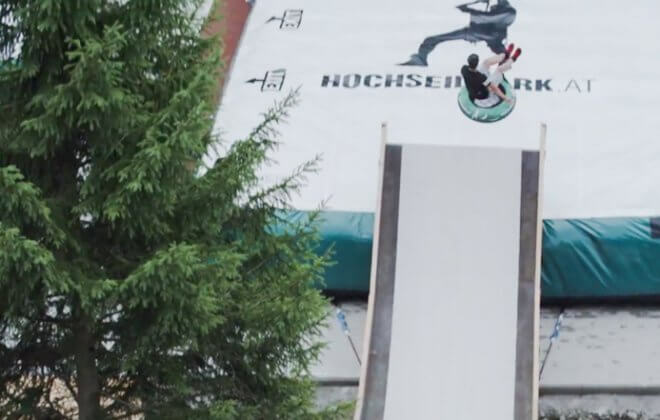 In summer use it for BMX/Mountainbike freestyle jumps, a jump tower with different height platforms, placed in front of trampolines or with a dry slope to continue the winter sports on an artificial snow surface. Our highest priority when designing any product is safety and functionality. 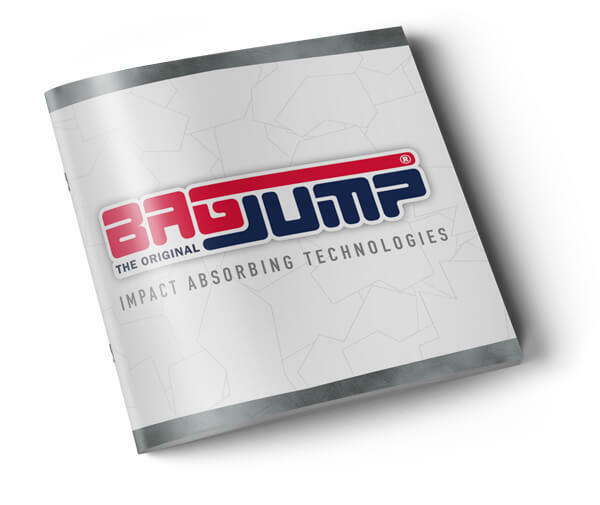 BAGJUMP® airbags are by far the softest and safest airbag systems available. 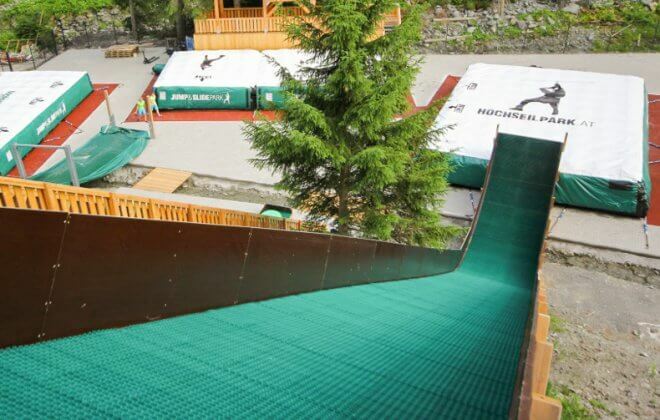 In order to try new groundbreaking maneuvers you need to be able to trust your landing, that’s why resorts choose BAGJUMP® for their peace of mind, providing the safest and softest product for their clients. Our products functionality, safety, and reliability are unmatched. With over ten years of experience in high-tech materials and design, as well as an incredibly strong R&D team, we have developed countless airbag systems and pioneered airbag technologies for various fun and extreme sports. GET IN TOUCH with us for a professional consultation regarding your project. Whether you want to find out how you can profit of BAGJUMP® Airbags or how they can transform your business, you'll find the answers to your questions right here. Download this whitepaper now! 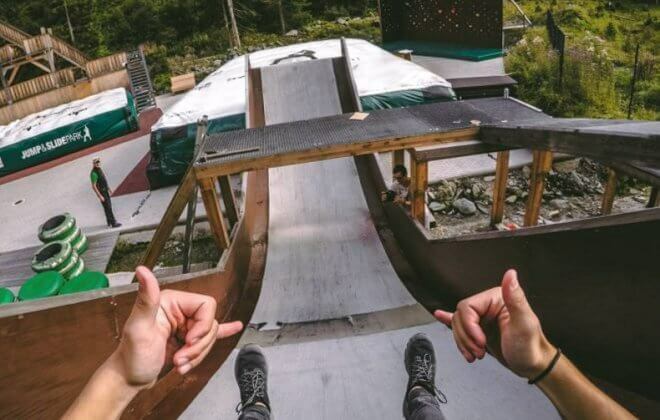 Our Topsheets® have to endure landings from sharp or rugged ski edges all season long. 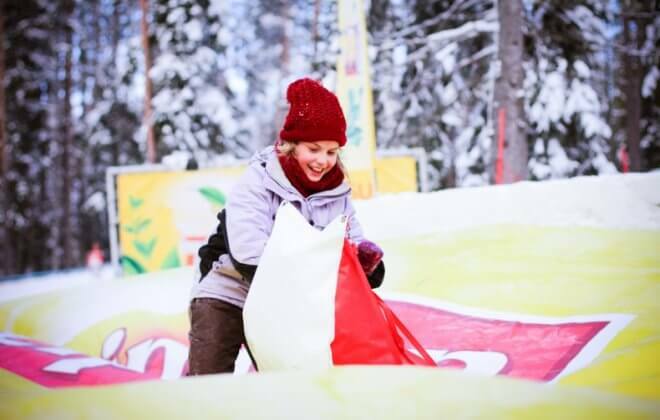 We have worked together with our partner HEYtex® to develop the toughest Topsheets® for any type of winter sports airbag. 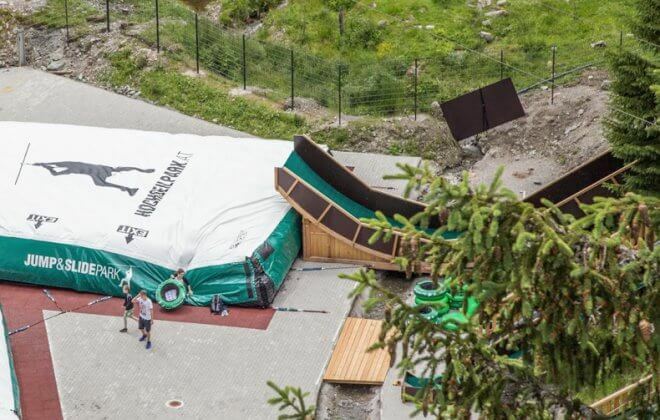 The enormous tear strength will ensure that you will never have to repair or heat weld your Topsheet® on the mountain. The surface is not the standard PVC other airbag manufacturers use. Our unique coating will ensure that your snowboard/ski base never sticks upon landing, adding to the safety of the product. Over the years we have developed a material for our airbag bodies that is lightweight, weather resistant and extremely tear resistant. With a reduced weight, you will need to move, pack & transport several hundreds of kilograms/pounds less, saving on manpower and costs. On the mountain, this is sure to be appreciated when compared to other heavyweight airbags. Enjoy the exhilarating tube slide with a jump into the airbag this summer. If you have an existing hill you can build a dryslope in-run with a kicker at the end. We can help you with the planning. In case you do not have a hill you can also set this up with scaffolding. 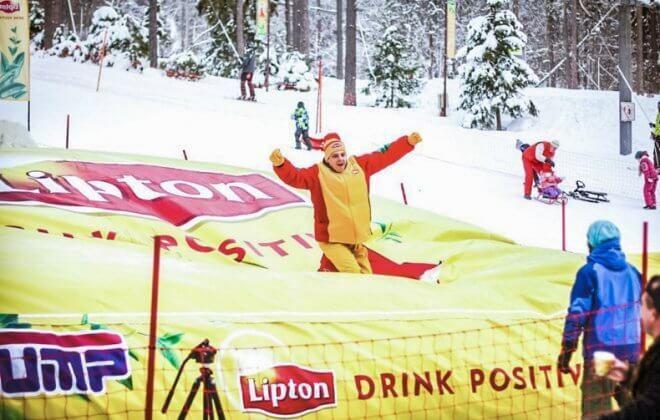 Sliding on the snow on a big snowtube or one of our own soft Tobbogans is fun for everyone. Those who crave a bit more excitement can end their slide with a jump into our soft airbag. This activity is fun for all age groups and does not require any skills. This will be one of the most exciting memories of the winter holidays.